Yesterday we shared details on the Amazon brand Solimo’s first entry into the competitive pre-workout category. This week the brand has also launched a high protein snack with the self-explanatory Solimo Protein Cookie. The all-new Solimo Protein Cookie is exactly that; a cookie that features a higher amount of protein compared to your typical cookie. The macros on the product vary from flavor to flavor with 16g of protein, 20 to 22g of fat (6g saturated), 20 to 23g of carbohydrates, 7 to 13g of sugar, and between 330 to 350 calories. Based on pictures it looks like the product has a nice crumbly build to it, as opposed to the dense, protein bar like consistency we’ve seen in a few other protein cookies. The main ingredients that are used in all of the Solimo Protein Cookie flavors are high-quality milk isolate, eggs, and almond flour. 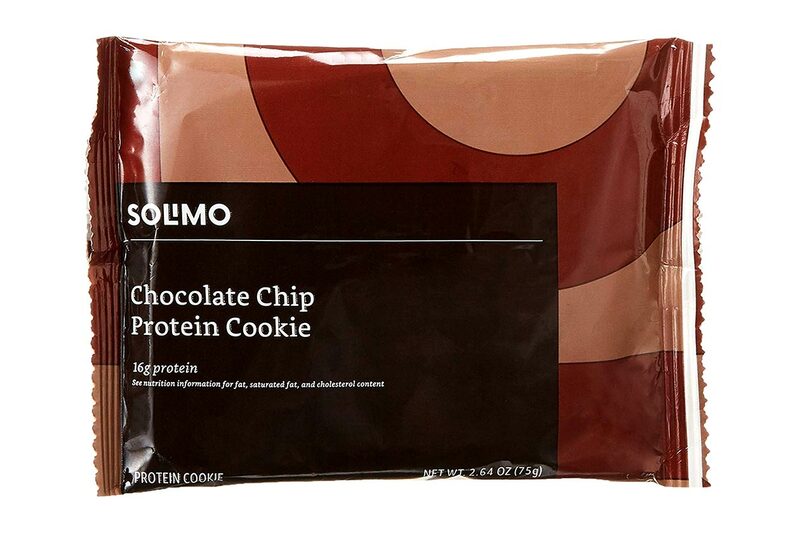 In total there are three flavors available for the Solimo Protein Cookie starting with Chocolate Chip which does, of course, come with sweet chocolate chips. The other two options are Snickerdoodle featuring toffee bits and Peanut Butter which is made with natural peanut butter. The new Protein Cookie from the Amazon brand Solimo is now in stock over on amazon.com in all three of its flavors. It comes in boxes of 12 cookies with a price of $19.99, although if you move quickly you can take advantage of Solimo’s 15% off deal and get the Protein Cookie for $16.99.